Karbonn Titanium S1 Plus is now official at price of RS 5749 in India. The Karbonn Titanium S1 plus comes with vigorous specifications. It would be the cheapest quad core phone with 1GB RAM. The handset has 4 inch display with 480 x 800 pixels resolution, not bad at all. The Titanium S1 + runs on Android 4.3 Jelly bean OS. To make the phone run there is 1.2 GHz quad-core processor paired with 1GB of RAM. It would compete with Videocon A29 and iBall Andi 4.5D Royale. The S1 Plus supports Dual SIM with dual standby. It comes with a 5-megapixel primary shooter with flash and a VGA secondary shooter. It offers standard connectivity options like 3G, WiFi, BT, GPS and Fm radio. It houses 1500 mAh battery, which should offer good backup at such screen size. 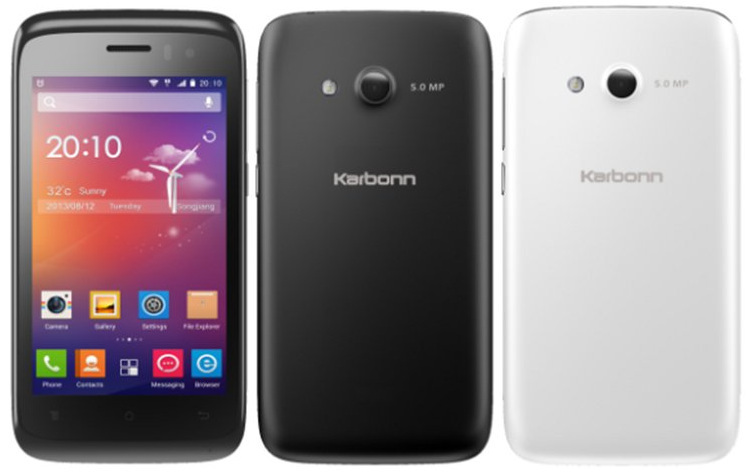 The Karbonn S1 Plus is available in Black color. You can buy it from Ebay India, Saholic and Snapdeal.